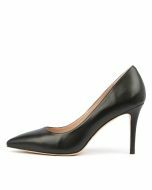 A staple style that you will never tire of, this pointed pump will always have a special place in your wardrobe! 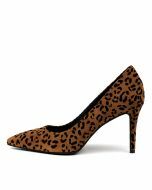 Coming in a number of luxe leather finishes, KEELY features a flattering toe shape with a high stiletto heel to add the perfect pop of height to your look. Suitable for work or play, there isn't a look that this fashion-forward design can't be styled with.